I’ve been thinking about what I’d like to achieve with my running for a while now, and lots of people around me have been achieving theirs such as running their first marathon or running a personal best, and I really started to wonder whether I had any goals in mind or was I just going to be content with just running and that’s it. years to achieve and that is to run the Sydney City to Surf 14k race next year and then the New York Marathon a year or so afterwards. The main difference between those races I plan to do and those I have run is I am not going to worry too much about times. I know that the City to Surf is a very tough course especially with Heartbreak Hill which for those of you that haven’t heard of it is a killer hill enroute in the race. 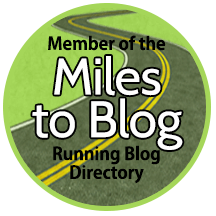 So in-between those two challenges I will be running other smaller races but it seems every time I have entered a race in the last year I have gotten sick so I have not decided which I will do yet…. My husband thinks i am mad and keeps reminding me of how I felt when I finished my last full marathon in 2006 but I reckon I have got one left in me – just one, right! You’re a runner – you won’t regret doing the NY marathon! Thanks Kate 🙂 Yes I’m excited about doing Both races 🙂 I’ve been doing short distance and figure it’s about time I stepped it up again! My goals are to run three half marathons next year: The Cadbury in January, the Gold Coast in July, and either the Melbourne or Brisbane later in the year.